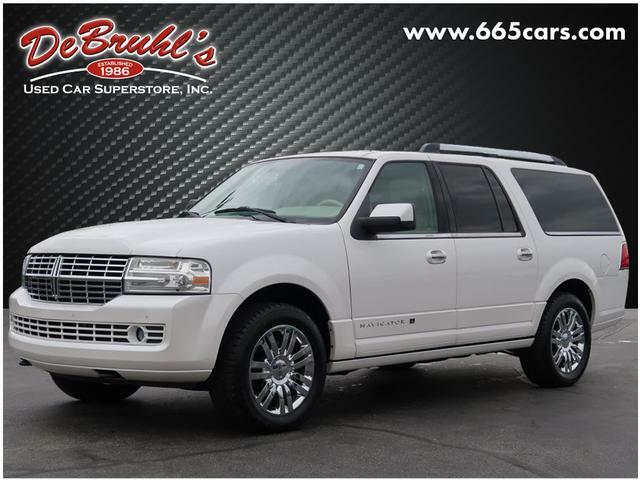 * 8 Cylinder engine * * GREAT DEAL AT $14,950 * * 2010 ** Lincoln * * Navigator L * * Base * This 2010 Lincoln Navigator L Base boasts features like a backup sensor, rear air conditioning, parking assistance, Bluetooth, a navigation system, a leather interior, dual climate control, heated seats, traction control, and DVD and will not disappoint. It comes with a 8 Cylinder engine. With a gorgeous white exterior and a stone interior, this vehicle is a top pick. Stay safe with this SUV 4X4s 5 out of 5 star crash test rating. Interested? Call today and take it for a spin! DeBruhls Used Car Superstore is the largest independent auto dealer in WNC! We offer a full range of financing with our guarantee credit approval, everyone is approved here.